“Everybody has a plan until they get punched in the mouth.”, according to former heavyweight champion Mike Tyson. While successful marketing campaigns include great plans and masterful execution, they do not need to end in violence. They should result in increased market awareness, better communication, and ultimately increased revenue. The American Marketing Association – Inland Empire Chapter continues delivering proven tools to this area’s marketers and business leaders to connect better and sell more. Equipping professionals to communicate better and learn more from experiences resulting in businesses wins, while avoiding experiences leading to defeats reflect the organization’s value-add! So, ultimately what works? Marketing success relies on innovative ideas and superior execution. While networking routinely facilitates communication of ideas and opportunities, industry and technical knowledge helps marketing execution. Optimally, exposure to experts who willingly share experiences and lend expertise lessens the pain of failure. Such relationships super-size the likelihood of marketing accomplishments! But, where are these experts? Imagine stories from a marketing executive who oversaw 300 brand name celebrities descending on a Del Taco in Hollywood and decided to share the details of that conquest. Or, how about learning from a guru who can explicitly detail how to maximize connecting nonprofit organizations with marketing partners to benefit both parties? When the American Marketing Association – Inland Empire Chapter gets together, such treasure chests of marketing gold become available! However, marketing experts also must endure failure. According to John Maxwell, “Sometimes you win, sometimes you learn.” In marketing, tough lessons occur on the way to legendary victories. Imagine a world where significant failures are spotlighted to reveal tragic missteps. 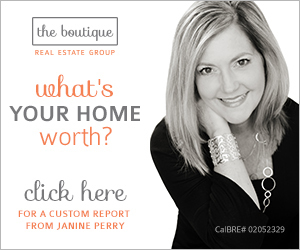 Avoiding bad campaigns is often equally significant as building marketing wins. Even hardened veterans make rookie mistakes like ordering physical collateral immediately before a campaign launch. Anyone can sit in front of laptops and clearly acknowledge that collateral needs to be ordered with plenty of time to test and strategize how to optimize distribution. However, who can share exactly what happens upon ignoring this wisdom in the excitement of executing inside this narrow timeframe? Sharing access to experts who honestly survived these epic highs and lows is the essential benefit of the American Marketing Association – Inland Empire Chapter. Sharing such wisdom with members and guests is the organization’s essential value-add. 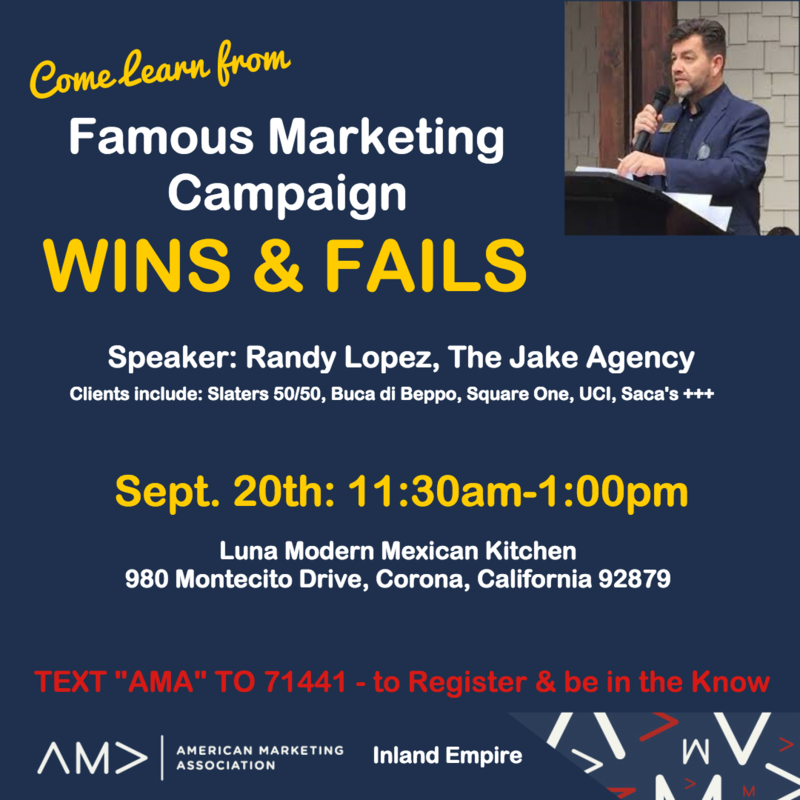 Join the American Marketing Association – Inland Empire Chapter and special guest, Randy Lopez, founder of the JaKE Agency for their September 20 Luncheon at the Luna Modern Mexican Kitchen. Learn secrets behind establishing winning marketing campaigns. Learn how to avoid or survive bad campaigns. Get the raw truth of leading major brands and running large marketing organizations, which result in marketers growing reach and revenue.